Located at 6597 Nicholas Blvd. #PH14, this spectacular Cap Ferrat penthouse is 4000 sq. ft. with 4 bedrooms and 5 bathrooms. This home has never been occupied, is fully furnished, and professionally decorated by Soco Interiors. Highlights include new Miele and Sub Zero appliances, a private coded elevator, custom molding and millwork, and stunning Gulf views. In addition to the bedrooms and bathrooms, this elegant home consists of a den, laundry room, open and screened lanais, breakfast room, formal dining room, family room, living room, and kitchen. The kitchen includes a pantry, granite counters, instant hot faucet, and new appliances comprised of a refrigerator with icemaker, cooktop, self-cleaning oven, wall oven, dishwasher, and microwave. The luxurious master bath includes marble flooring, dual sinks, spacious shower, and a separate jetted tub. Additional features and equipment in this exceptional penthouse include a foyer, fireplace, central electric zoned heating and cooling, fire sprinklers, smoke detectors, custom mirrors, tray and volume ceilings, walk-in closets, elegant window coverings, and carpet and marble flooring. There is a one year builder warranty included with this purchase. There are three assigned parking spaces in the under the building garage. The Cap Ferrat high rise amenities consist of a health club, pool, spa, billiards room, library, fitness center, and on site guest suites. Cap Ferrat owners are permitted to lease their property up to three times per year with thirty day minimum terms. It is a pet friendly building with some restrictions. For more information, please see this site. Cap Ferrat residents have many more amenities to enjoy in the Pelican Bay community. There are two tennis complexes, solar powered tram service to the private north and south beach access points, a 25,000 sq. ft. community center, and many other recreational activities. The community center includes an art studio, bridge room, computer center, fitness center, rooms for meetings and social events, tennis pro shop, and a wellness studio. Also popular are the nature paths where residents and their guests enjoy biking, rollerblading, jogging, and walking. For the avid golfer, the Club Pelican Bay offers limited golf equity memberships. 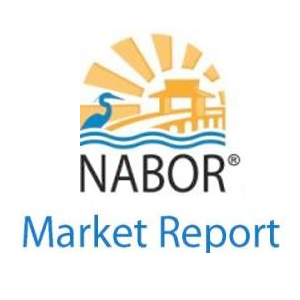 Also in close proximity to Pelican Bay are the upscale Waterside shops, the Naples Philharmonic Center for the Arts, and the Ritz Carlton Beach Club. 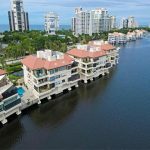 This luxurious penthouse is among the finest real estate for sale in Naples. It must be seen to be fully appreciated.